A fascinating and detailed guide to ancient Greece. Michael Grant looks at the policies and government of the hundreds of independent city-states and at the everyday life of the citizens. 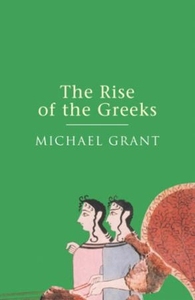 With fluency and scholarships he shows how the brilliance of the Ancient Greeks' civilization was by no means limited to the Golden Age of its classical fifth century, but its early period was remarkable too. For 500 years the Greek city-states achieved a civilisation which has been an inspiration and an ideal ever since.